I am a Medieval Period nutter, my close friends and family knew about it. There is an unexplainable charm that its history, fashion, culture, and people displays and it attracts me in a way. 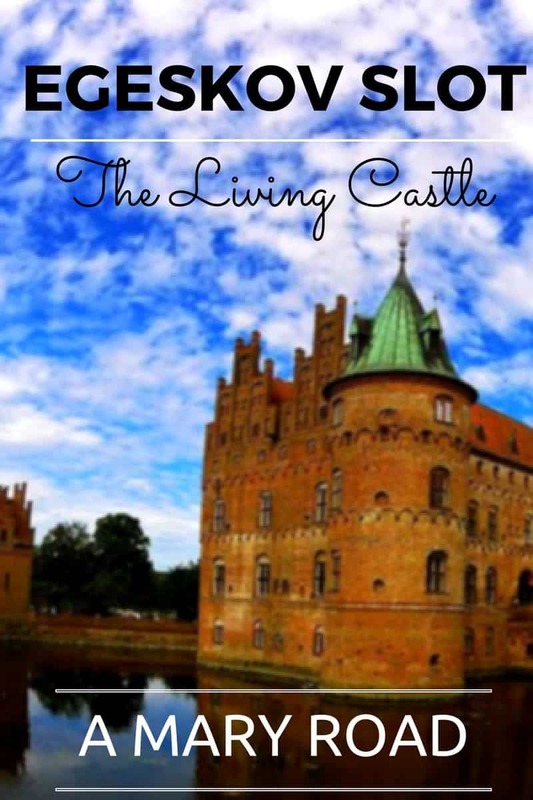 I lived in Denmark for two years, the fact that Denmark is one of the oldest monarchies in the world, I have a great chance to actually visit a castle and be in a place where I only read in the books before. But, I’m not sure why I never visited any castle during my stay. 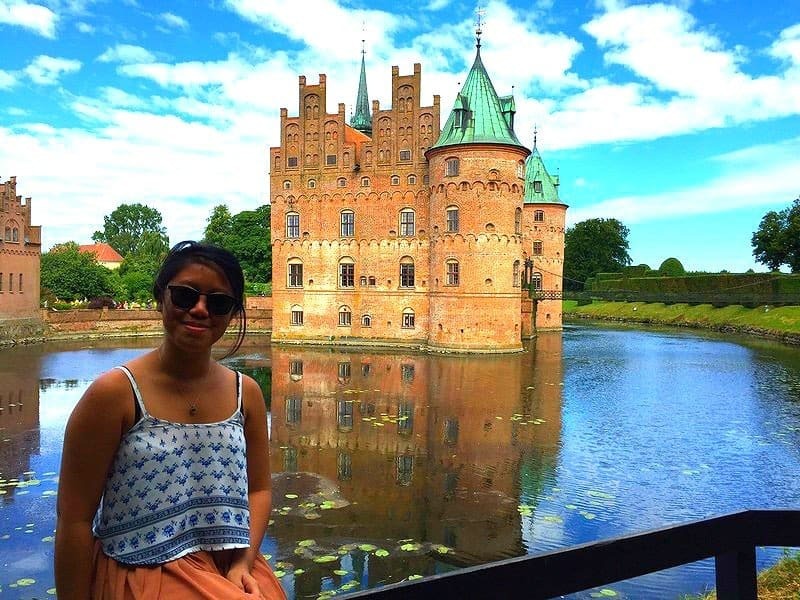 Even during the time I was checking out the Copenhagen – yes, they have castles there too but I was too unorganised and didn’t do my research! Well, as they say, dreams do come true. I came back to Denmark for the summer holiday. This time, I get to see a castle! Egeskov Slot is located in Fyn Region. It is the island that locals cannot hold their tongue about when I announced that I am to visit Fyn. This island is between Sjælland and Jylland. The Egeskov Slot is only half an hour drive to the south of the city, Odense. Egeskov Slot was originally a large manor in circa 1405. In 1554, Frands Brockenhuss with his wife Anne Tinhus built the now, Egeskov Slot. The castle has only been opened to visitors in 1960s, whilst in 1989, Count Claus Ahlefeldt-Laurvig-Bille opened the castle to the public. From being erected as a manor up to today, there have been 31 owners of the Egeskov Slot. The current owner, who also lived there are the Count and Countess Michael and Caroline Ahlefeldt-Laurvig-Bille and their children. 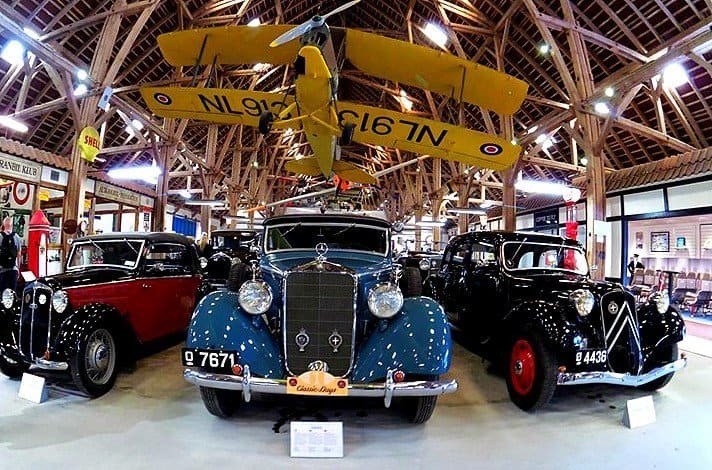 Apart from the stunning castle, which the public can also access inside, there is a huge indoor display of vintage cars, motorbikes, buses, and aircraft to adore. There is a “legeskov” or playground around where children can freely enjoy some fun activities such as Tree Top Walking, riding a segway, and more. A huge park is also available to the public to relax when the sun is shining. 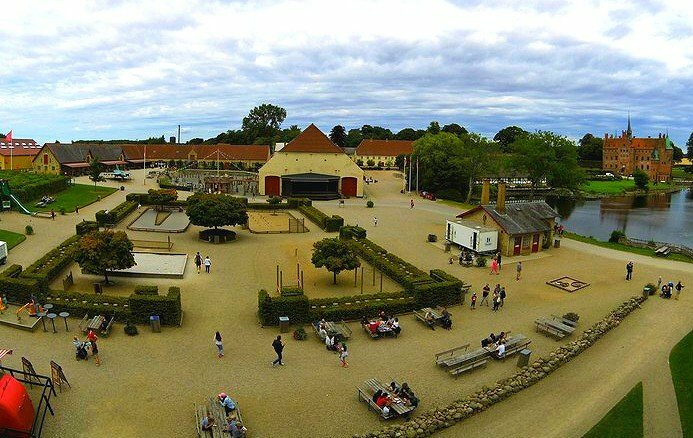 In summer, Egeskov Slot offers great activities and events to its guests. 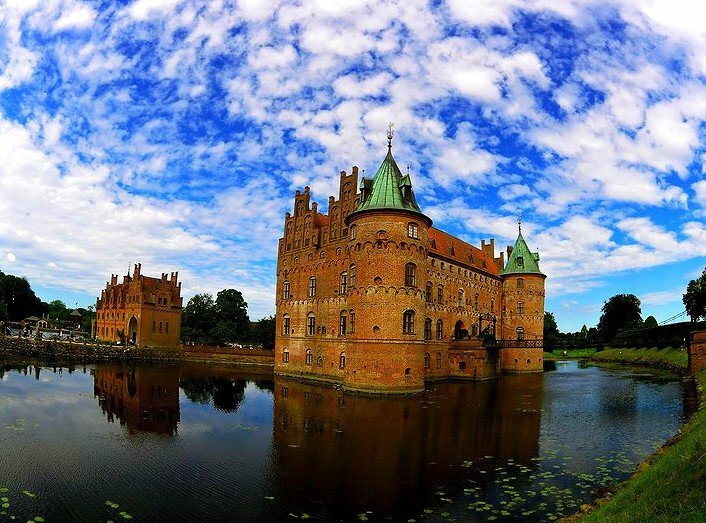 There are also days that Egeskov Slot is open until midnight. The best time to go is during the summer (June, July, August) where you can expect a great sunny weather. Though Egeskov Slot is open from late April to late October. Train and Bus – Take the train to Svendborg Station and get off at Ringe Station. From here, take the bus 920 (Faaborg) and get off at Egeskov Gade. You have to walk 800 metres from here. Prices and other information, click HERE. Visit their WEBSITE. I loved the whole package it was a surreal feeling to actually walk through a very old place. 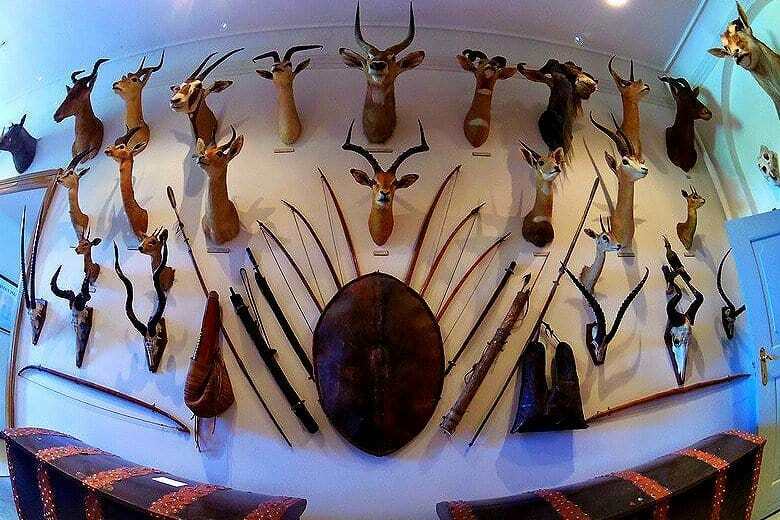 Everything was bizarre in a great way, the classic castle with the display of beautiful vintage rooms, hunting trophies, and the collection of the wooden toys. The blue sky matched the perfect castle which stands by the water pond. Its long unwinding garden makes me want ti just collapse there and fall asleep whilst adoring the silhouette angle of the castle. I walked around, I was surrounded by tall green trees. It was quiet and peaceful. At the end of the garden, I could see the castle perfectly, the view the past owners used to have, how magical is that? I was really surprised that Egeskov is not only offering the castle itself, the effort on putting up a whole area for vintage cars and old transportation is amazing. The fact that the visitors could lie down by the backyard and enjoy the sun whilst the kids could play around is a cosy set up. It gave the feeling that I forgot I was in a castle, it felt natural. The playground is a great idea as well, it lets the kids have fun whilst the parents could just relax and enjoy the moment. I have to say that it is indeed a living castle. It was a great trip and definitely worth a visit. Are you looking for more castle to visit? Check out, Kronborg Castle! 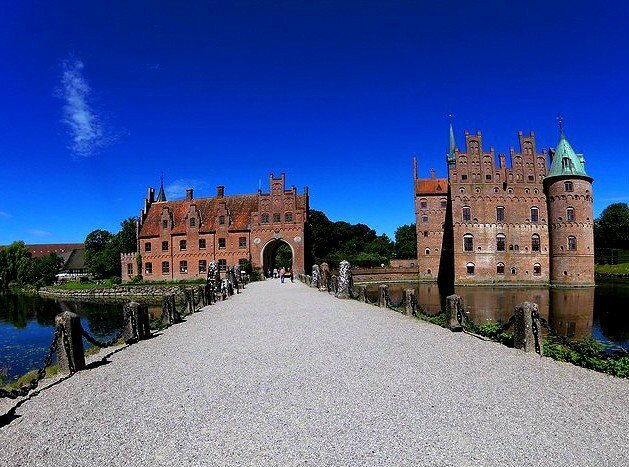 DISCLAIMER: This amazing visit in Egeskov Slot wouldn’t have been possible without the amazing PR team of Egeskov Slot who accommodated me on my trip.